Teaching is over and the students are writing dissertations and revising for the summer examinations, so naturally the thoughts of staff here in the School of Mathematical and Physical Sciences at the University of Sussex are turning towards the annual round of staff appraisals. Naturally, as the Supreme Leader Head of School I shall myself be appraising a number of staff and in so doing I will be putting into practice the useful tips passed on to me by the following training video. Since Ned Wright picked up on the fact that I borrowed his famous Dark Energy Piston for my talk I thought I’d include it here in all its animated glory to explain a little bit better why I think it was worth taking the piston. The two important things about dark energy that enable it to reconcile apparently contradictory observations within the framework of general relativity are: (i) that its energy-density does not decrease with the expansion of the Universe (as do other forms of energy, such as radiation); and (ii) that it has negative pressure which, among other things, means that it causes the expansion of the universe to accelerate. The Dark Energy Piston (above) shows how these two aspects are related. Suppose the chamber of the piston is filled with “stuff” that has the attributes described above. As the piston moves out the energy density of dark energy does not decrease, but its volume does, so the total amount of energy in the chamber must increase. Since the system depicted here consists only of the piston and the chamber, this extra energy must have been supplied as work done by the piston on the contents of the chamber. For this to have happened the stuff inside must have resisted being expanded, i.e. it must be in tension. In other words it has to have negative pressure. Compare the case of “ordinary” matter, in the form of an ideal gas. In such a case the stuff inside the piston does work pushing it out, and the energy density inside the chamber would therefore decrease. If it seems strange to you that something that is often called “vacuum energy” has the property that its density does not decrease when it subjected to expansion, then just consider that a pretty good definition of a vacuum is something that, when you do dilute it, you don’t any less! So how does this dark vacuum energy stuff with negative pressure cause the expansion of the Universe to accelerate? I’ve included a cosmological constant term (Λ) but ignore this for now. Note that if the pressure p is small (e.g. how it would be for cold dark matter) and the energy density ρ is positive (which it is for all forms of energy we know of) then in the absence of Λ the acceleration is always negative, i.e. the universe decelerates. This is in accord with intuition: because gravity always pulls we expect the expansion to slow down by the mutual attraction of all the matter. However, if the pressure is negative, the combination in brackets can be negative so can imply accelerated expansion. In fact if dark energy stuff has an equation of state of the form p=-ρc2 then the combination in brackets leads to a fluid with precisely the same effect that a cosmological constant would have, so this is the simplest kind of dark energy. When Einstein introduced the cosmological constant in 1915/6 he did it by modifying the left hand side of his field equations, essentially modifying the law of gravitation. This discussion shows that he could instead have modified the right hand side by introducing a vacuum energy with an equation of state p=-ρc2. A more detailed discussion of this can be found here. Anyway, which way you like to think of dark energy the fact of the matter is that we don’t know how to explain it from a fundamental point of view. 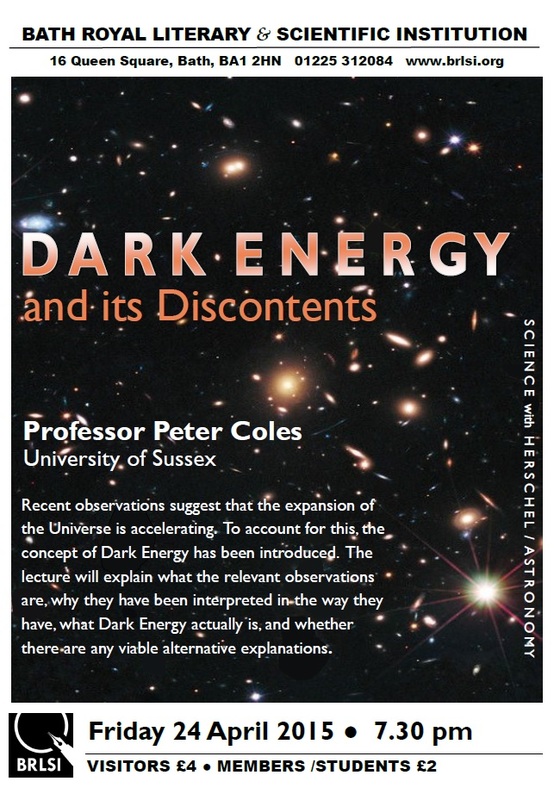 The only thing I can be sure of is that whatever it is in itself, dark energy is a truly terrible name for it. This unravelling story shows that the Conservative Party’s campaign is both inept and dishonest. Initially I though it was hilarious but now it’s getting very serious indeed. There is a lot, so I’ll be brief. Huge thanks to the many people on Twitter who sent me discrepancies all day, as they discovered them. The day started with the Conservatives and the Prime Minister claiming a major victory. Things soon began to unravel, when it emerged that this wasn’t the unsolicited, spontaneous combustion of love from small business to the Tories, which had been presented. 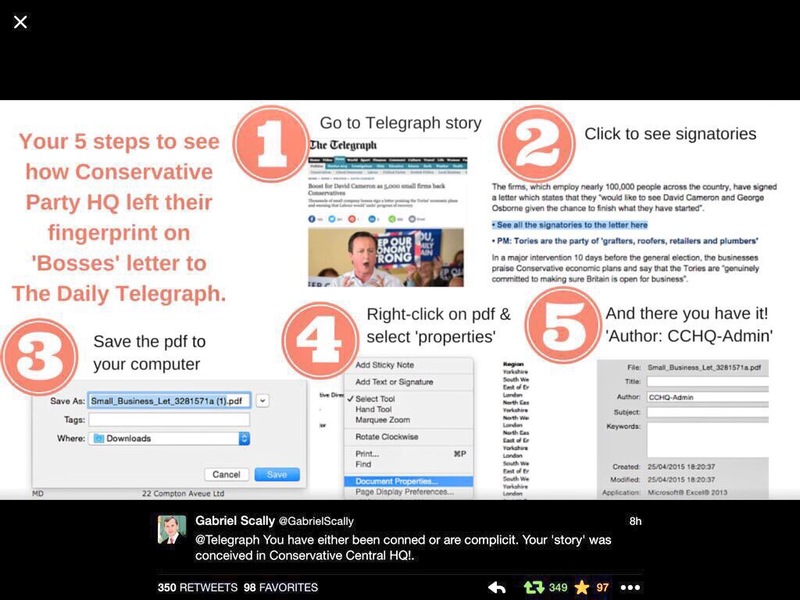 In fact the Conservative Party had generated the letter and asked its members to sign it. 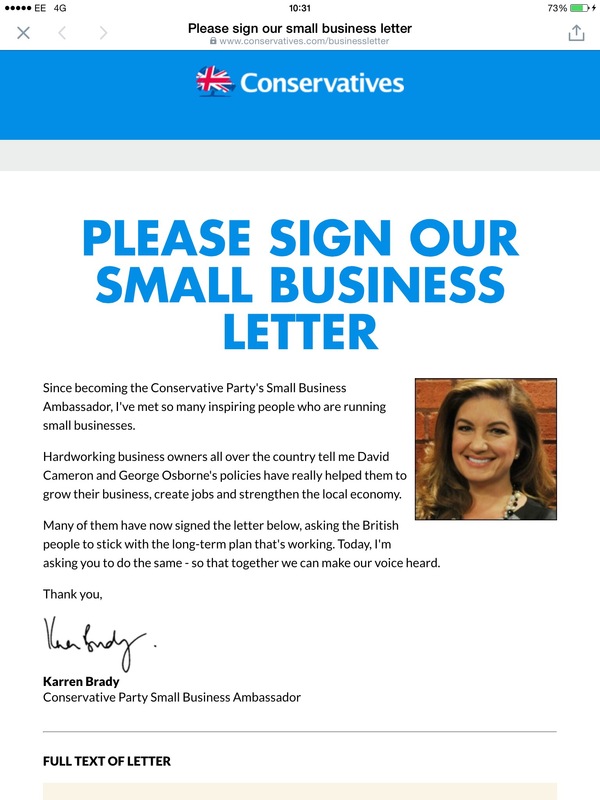 Things got much more tangled up when it was discovered that the background document, containing the names and signatures of the “small business owners” on the Telegraph website, still bore the metadata tags of Conservative Campaign Headquarters. 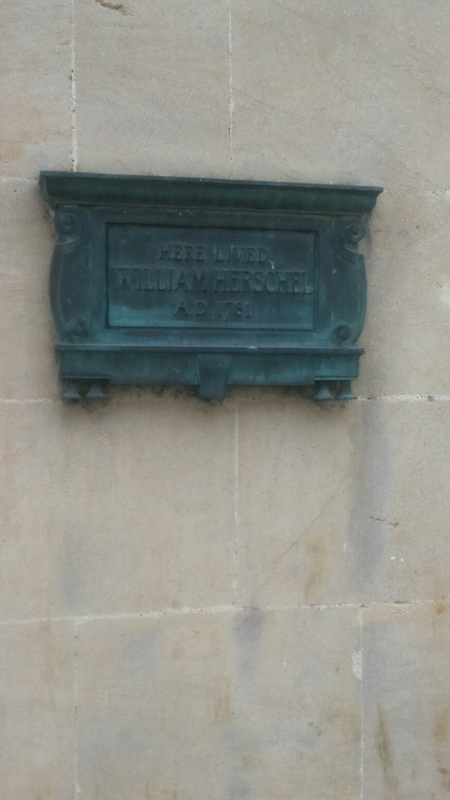 When I was in Bath on Friday evening I made a point of visiting the Herschel Museum, which is located in the house in which Sir William Herschel lived for a time, before moving to Slough. Unfortunately I got there too late to go inside. It did remind me however of an interesting connection between astronomy and forensic science, through a certain William Herschel.. When I give popular talks about Cosmology, I sometimes look for appropriate analogies or metaphors in detective fiction or television programmes about forensic science. 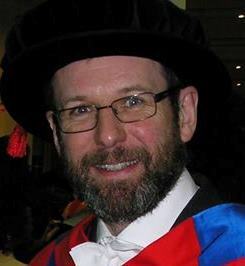 I think cosmology is methodologically similar to forensic science because it is generally necessary in both these fields to proceed by observation and inference, rather than experiment and deduction: cosmologists have only one Universe; forensic scientists have only one scene of the crime. They can collect trace evidence, look for fingerprints, establish or falsify alibis, and so on. But they can’t do what a laboratory physicist or chemist would typically try to do: perform a series of similar experimental crimes under slightly different physical conditions. What we have to do in cosmology is the same as what detectives do when pursuing an investigation: make inferences and deductions within the framework of a hypothesis that we continually subject to empirical test. This process carries on until reasonable doubt is exhausted, if that ever happens. Of course there is much more pressure on detectives to prove guilt than there is on cosmologists to establish the truth about our Cosmos. That’s just as well, because there is still a very great deal we do not know about how the Universe works. I have a feeling that I’ve stretched this analogy to breaking point but at least it provides some kind of excuse for mentioning the Herschel connection. In fact the Herschel connection comes through William James Herschel, the grandson of William Herschel and the eldest son of John Herschel, both of whom were eminent astronomers. William James Herschel was not an astronomer, but an important figure in the colonial establishment in India. In the context relevant to this post, however, his claim to fame is that he is credited with being the first European to have recognized the importance of fingerprints for the purposes of identifying individuals. 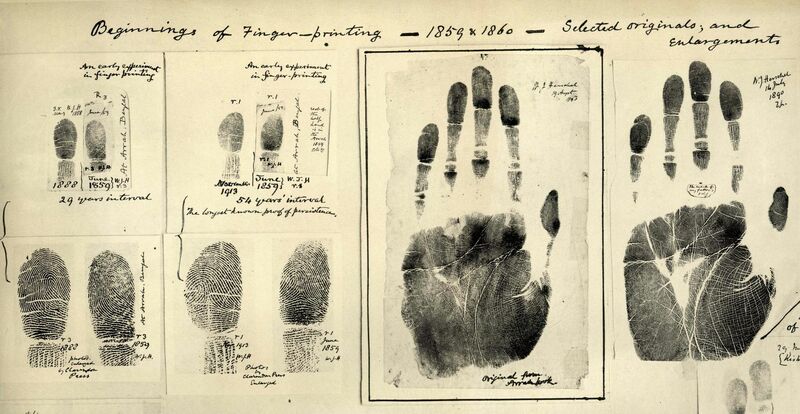 William James Herschel started using fingerprints in this way in India in 1858; some examples are shown below (taken from the wikipedia page). Later, in 1877 at Hooghly (near Calcutta) he instituted the use of fingerprints on contracts and deeds to prevent the then-rampant repudiation of signatures and he registered government pensioners’ fingerprints to prevent the collection of money by relatives after a pensioner’s death. Herschel also fingerprinted prisoners upon sentencing to prevent various frauds that were attempted in order to avoid serving a prison sentence. The use of fingerprints in solving crimes was to come much later, but there’s no doubt that Herschel’s work on this was an important step. Interesting post about the constitutional limits on the ability of the SNP to influence UK budget setting. The SNP are claiming they can ‘block Labour budgets’, ‘end austerity’ and ‘stop Trident’. Their problem however is simple – most of what they say is based on assuming that Westminster works the same way as Holyrood does for budgeting – and it doesn’t. There are huge ‘constitutional’ and practical obstacles to implementing the sort of radical challenges to Government tax and spend decisions that the SNP and others seem to be mooting. The first set of problems is that in the Westminster parliament only the Government can propose taxation or spending measures. These can be defeated, or amended, but only by cutting spending or lowering or removing taxes – not by increasing either.